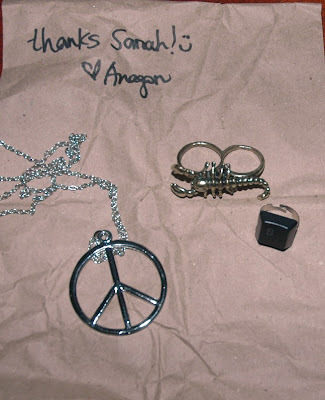 Today was special, my much anticipated package from Anagon arrived. 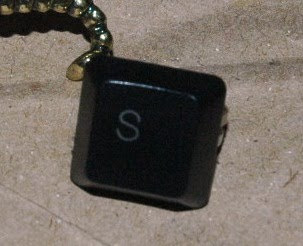 I have been wanting this peace sign necklace since the first time I saw it (I don't remember where anymore). I tried all my powers to track it down and finally found Anagon! Ahh! Amazing I love the double finger ring! 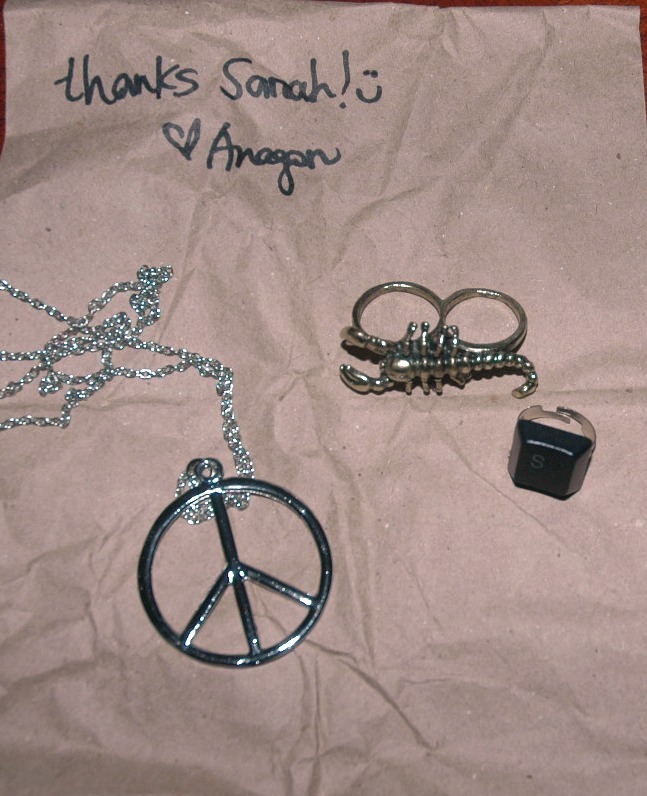 OMG my friend would love that peace sign necklace!!! How much is it??? When I went home last year, I bought her a peace sign earrings, she was so happy lol. I have some cocktail rings in store..